Italy is the largest wine producer in the world. Around 1000 different grape varieties are used to produce a vastly diverse range of wines. Italy differs from other prominent wine producing countries largely in its focus on indigenous grape varieties, instead of classic varieties such as Cabernet Sauvignon, Merlot and Chardonnay. This can be somewhat confusing for the consumer, though is demonstrative of the pride and confidence that Italian producers have of their heritage. For the yachting industry, the most important Italian region is Tuscany. This is the home of the so-called Super Tuscans, iconic labels such as Sassicaia, Tignanello, Ornellaia and Solaia. The principal grape of Tuscany is Sangiovese, a grape with aromas of sour cherry, dusty tannins and crisp acidity. Sangiovese is often blended with other varieties, and for most Super Tuscans this will be with the Bordeaux varieties Cabernet Sauvignon and Merlot. Super Tuscans are full-bodied and dark with concentrated aromas of black fruit, cherry and plenty of spice from new French oak barrels. Other important wines from here are Chianti and Brunello di Montalcino. Read more about Super Tuscans. Chianti is a DOCG within Tuscany that produces one of the most widely exported Italian wines. Quality levels will vary depending on the producer and village. The blend must be a minimum of 80% Sangiovese, and the remainder can be made up of Merlot, Colorino, Canaiolo or Cabernet Sauvignon. The best wines come from Chianti Classico and Chianti Rufina. Traditionally, Chianti is aged in large oak casks called botti, which are often made from Slovenian oak. Many producers still use these, though lately more producers have been moving towards the use of smaller French barriques of 225 litres. The latter makes the wines less oxidative and gives them a more pronounced oak aroma. These two red wine regions will be presented together since they are made of the same grape variety, are neighbouring regions and very few people can tell them apart. They are located in the region of Piedmonte in Italy. The sole grape variety used for these wines is Nebbiolo. A very tannic, flavoursome and elegant variety that takes its name from the word Nebbia (fog) in Italian. Barolo is often described as having the aromas of tar and roses and the wines are noted for their ability to age and usually take on a garnet tinge as they mature. The wines are traditionally aged for a long time in oak and if aged for a minimum of five years you can find the word Riserva on the label. In the past, Barolos and Barbarescos were very tannic. It could take more than 10 years for the wine to soften up and becoming ready for drinking, hence the long oak ageing was necessary. More recently however, in order to appeal to more modern international tastes, which preferred fruitier styles and toasty new oak, several producers began to age the wine in new French barriques (small oak barrels) and shorten the skin contact which extracts the tannins. “Traditionalists” have argued that the wines produced in this way are not recognizable as Barolo and taste more of new oak than of wine. Regardless of the personal preference in this matter, the wines of Barolo and Barbaresco are some of the best in the world in my opinion. So much so that I named my son Barolo! (Only his second name though). 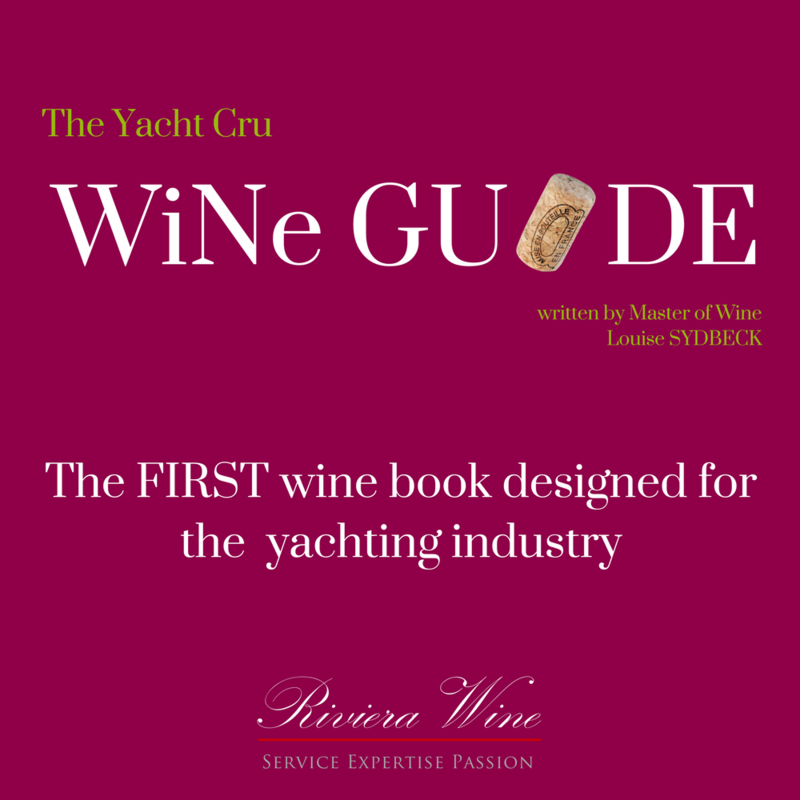 Although Barolo and Barbaresco are two of the greatest wine regions in the world these wines are rarely seen on yachts. So if you have an open minded owner or charter guest who can see beyond Cru Classe Bordeaux, Montrachet and Cristal, suggesting a top quality Barolo might be very welcome! Piedmont is best known for Barolo and Barbaresco. These two red wine regions are presented together since they produce wines from the same grape variety, are geographical neighbours, and very few people can tell them apart. They come from the Piedmont region, and their sole grape variety is Nebbiolo. This is a very tannic, flavoursome and elegant variety which takes its name from the word nebbia, meaning “fog” in Italian. Barolo is often described as having the aromas of tar and roses, and the wines are noted for their ability to age. As Barolo wines begin to mature, they tend to develop a garnet tinge in their appearance. The wines are traditionally aged for a long time in oak. Wines labelled “Riserva” are aged for a minimum of five years. In the past, Barolo and Barbaresco wines were very tannic, and could take more than ten years to soften up and become ready for drinking - hence the need for long oak ageing. Several producers, however, have recently started to age their wines in new French barriques in place of traditional botti, and shorten skin contact times to extract fewer tannins. This has largely been to appeal to modern international tastes, with a preference for fruitier styles and toasty new oak flavours. So-called “traditionalists” criticise this approach, arguing that wines produced in this way are not recognisable as Barolo, and taste more of new oak than of wine. Regardless of personal preference in production style, the wines of Barolo and Barbaresco are undeniably some of the best in the world. Despite this, these wines are rarely seen on yachts.